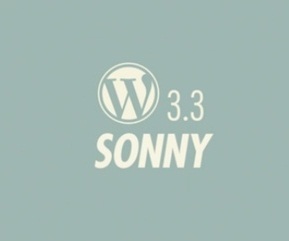 WordPress has released a new version of WordPress software - 3.3, codenamed Sonny, after jazz saxophonist Sonny Stitt. The new release went live Monday and is available for download or update inside the WordPress dashboard. The new version has seen a significant amount of new features. The admin bar and the old Dashboard header have been combined into one persistent toolbar. New Drag-and-Drop media uploader where you can drag multiple files to be uploaded. It also comes with a Tumblr Importer. Tablet Optimized Screen - improved dashboard experience on the iPad and other tablets with better touch support. For Developers - WordPress has also released a new editor API, new jQuery version, better ways to hook into the help screens, improvements on the Codex and more. For more insights on the new features you can visit here. WordPress has seen 65 million downloads of its software since it released version 3.0. This new release is surely going to impress the users. You can download WordPress here.